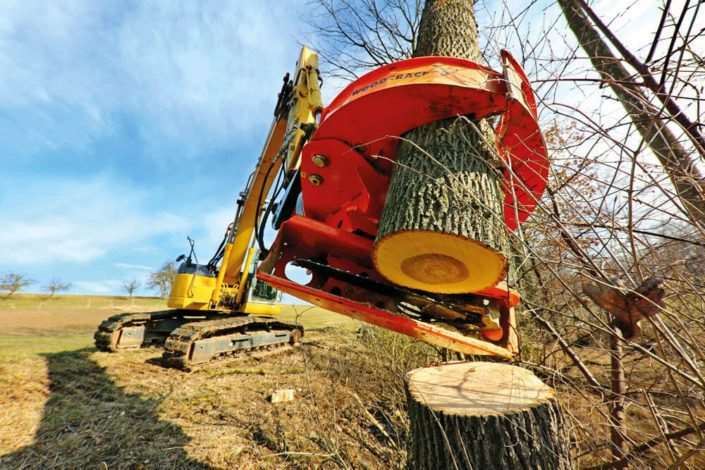 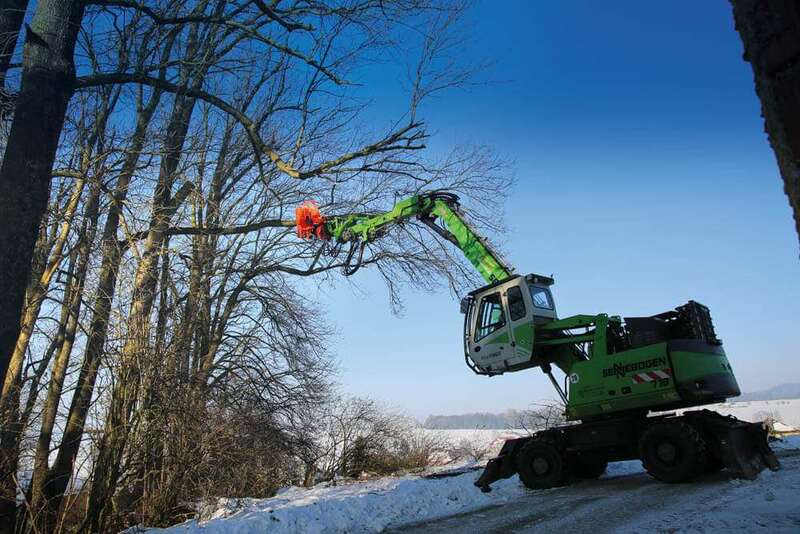 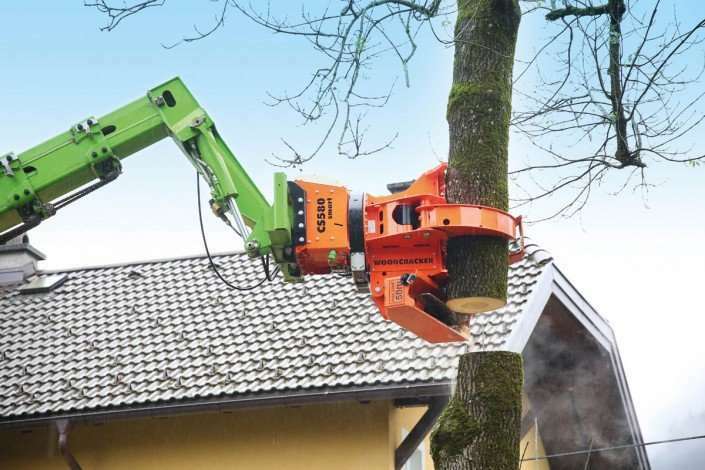 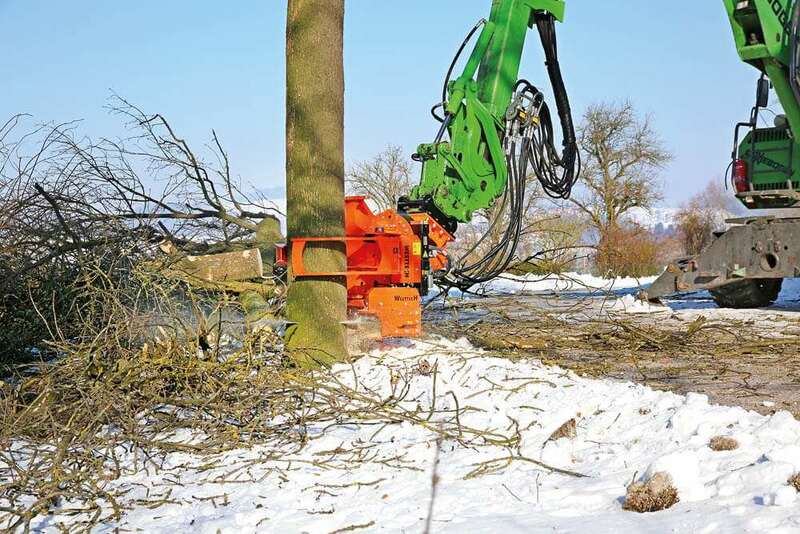 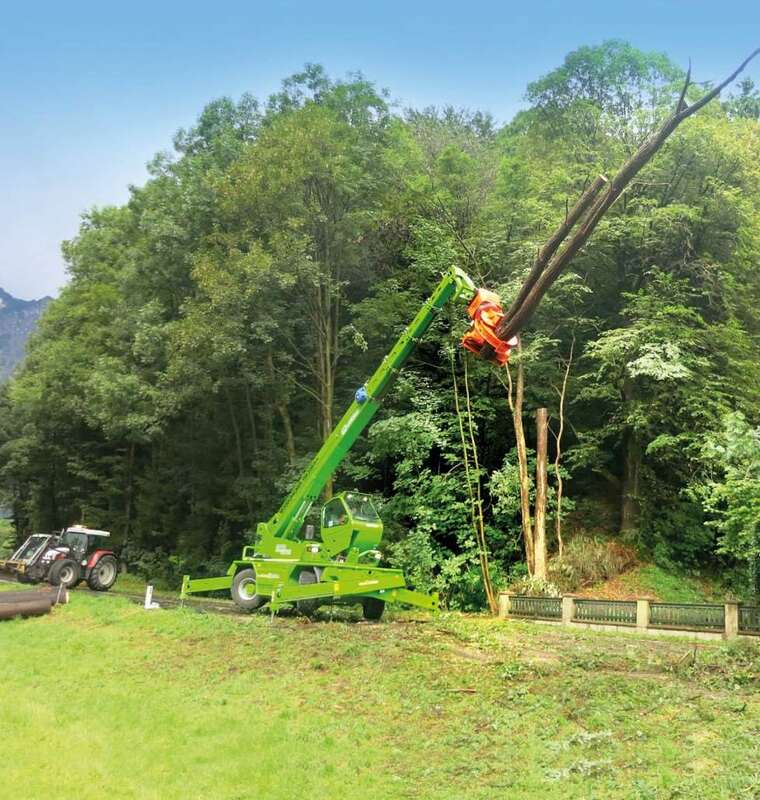 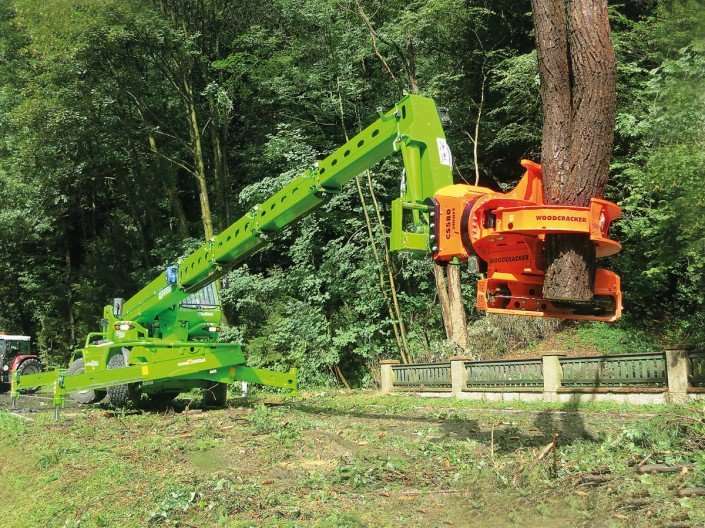 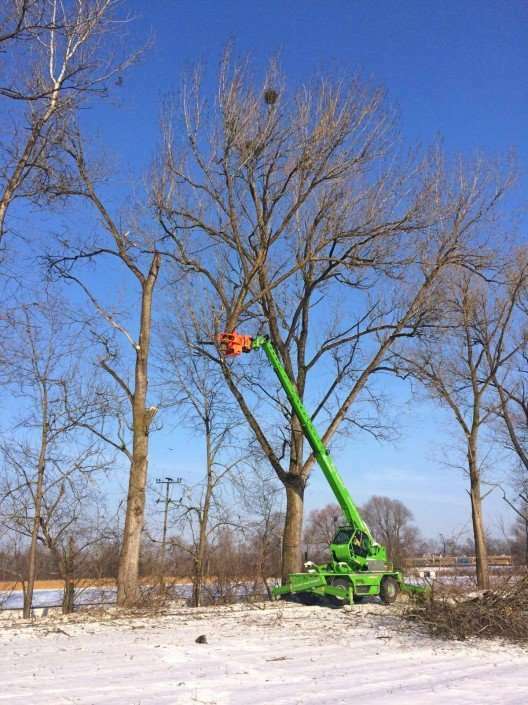 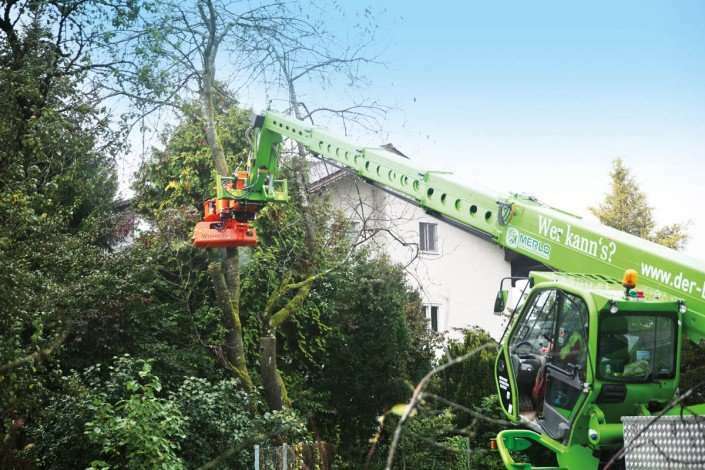 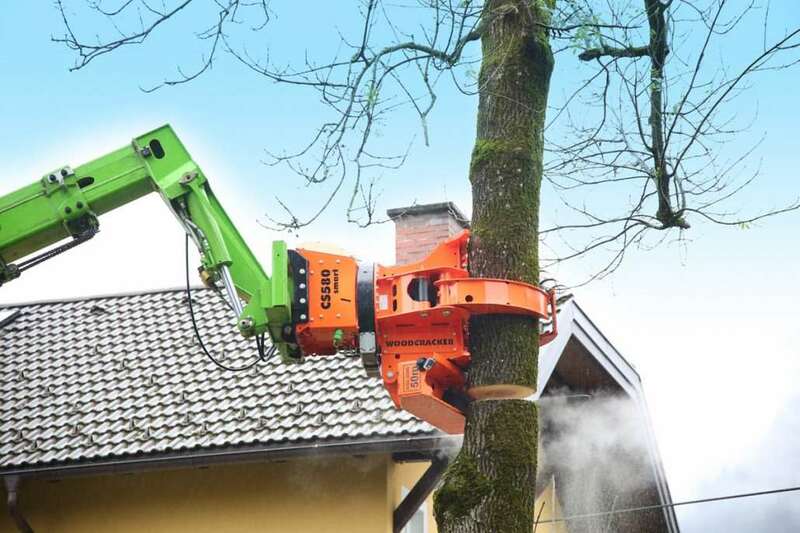 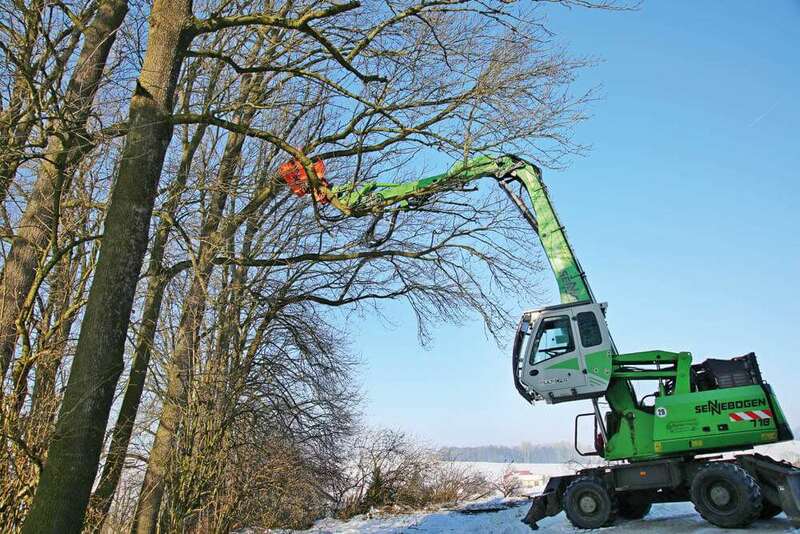 The efficient tree shear for harvesting trees and bushes. 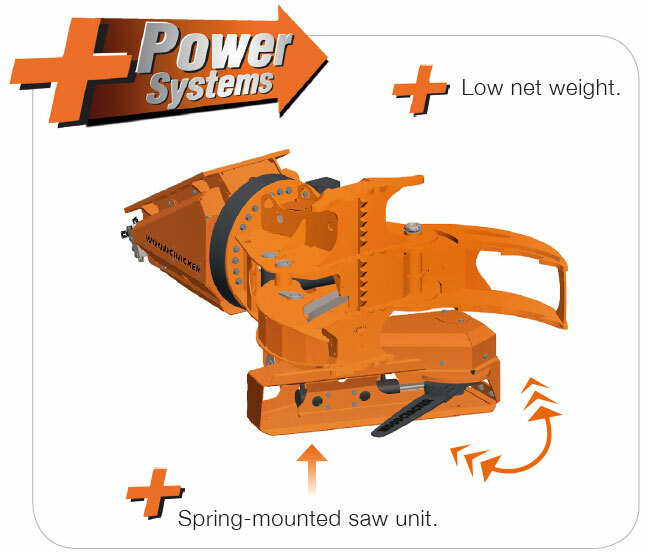 The swift and light weighted cutting head for agricultural use. 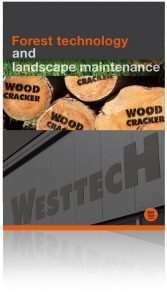 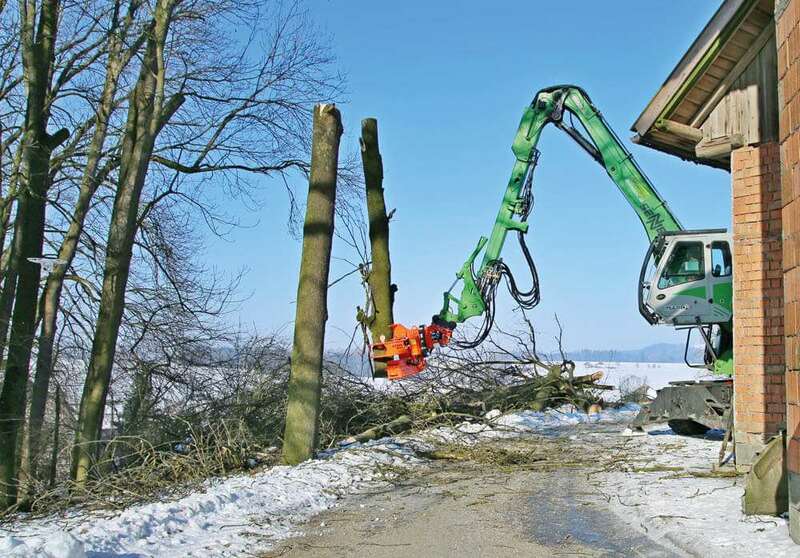 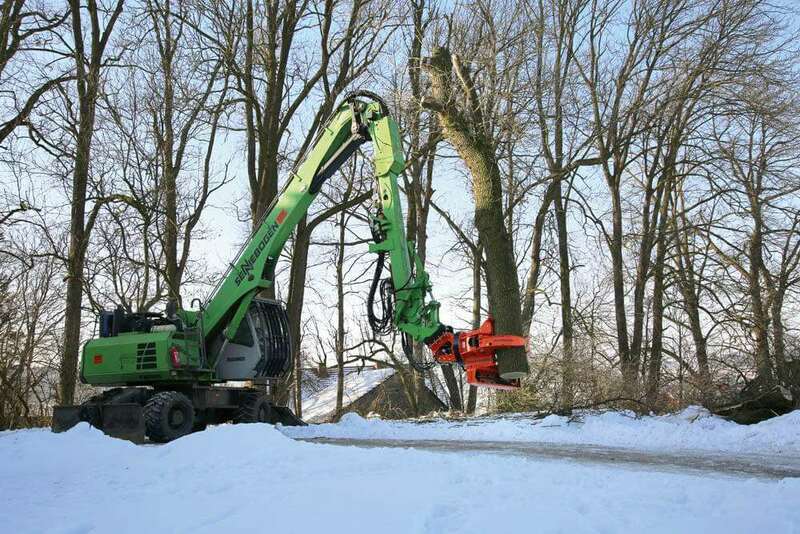 Thanks to its low weight, the Woodcracker CS smart can be easily mounted to roto-telehandlers or excavators. 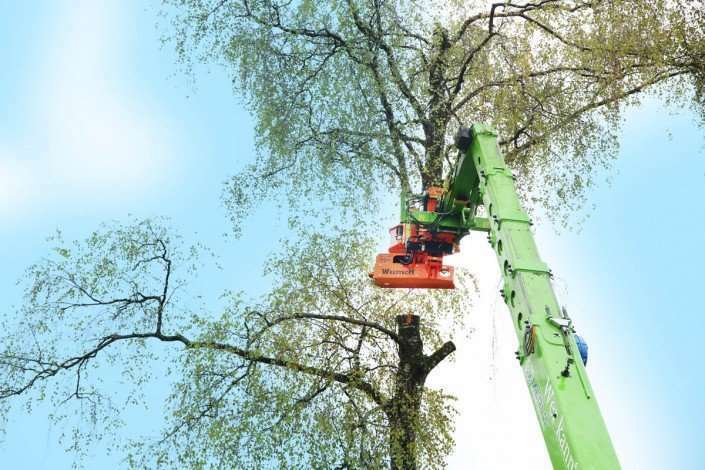 Dangerous trees are felled with ease, e. g. in gardens or in urban areas.